100 year old Sr Marie Conlon felt a call from God from the age of thirteen but she was not sure where to pursue it. The first member of the Medical Missionaries of Mary to reach her 100th birthday celebrated the milestone on Wednesday. 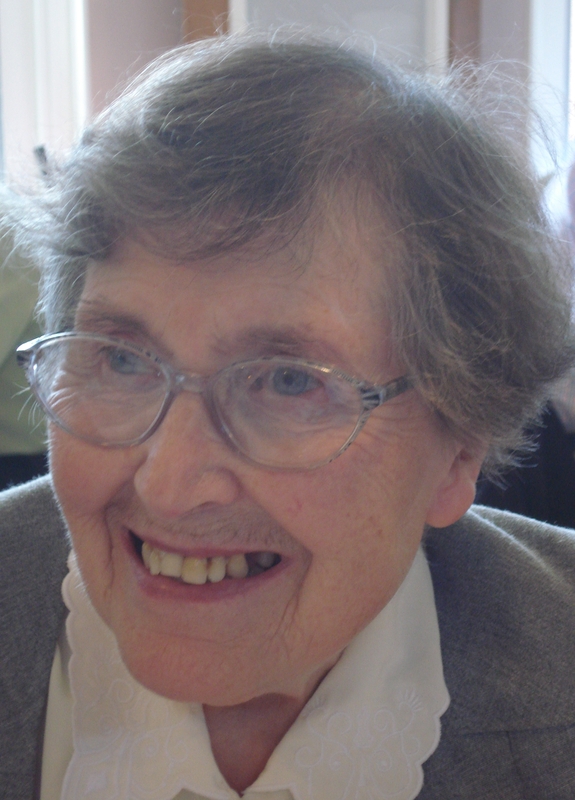 Sr Marie Conlon, a native of Stoke on Trent in Britain, trained as a teacher, but felt God was calling her to the religious order founded by Irish woman, Mother Mary Martin. After her religious profession, Sr Marie was assigned to Nigeria where she was part of the team staffing the residence for young women training as nurses at St Luke’s Hospital, Anua. Later, Sr Marie was elected a member of the Central Leadership Team of MMM and served in that capacity from 1969 to 1975. She also served as Editor of the MMM magazine. She was a member of an evaluation team of MMM ministries in East Africa before her retirement at the order’s motherhouse Aras Mhuire in Drogheda, Co Louth. She had felt a call from God from the age of thirteen but she was not sure where to pursue it. According to Sr Marie, she thought the MMM “looked like sensible women and within a few months I had entered.” This was in 1947, when the MMM was only ten years old. She was professed in March 1950 and by May was on her way to Nigeria. Sr Marie returned to Ireland during the war in Nigeria in 1968. She served in MMM administration, in mission awareness, and as editor of the MMM magazine. In 1976, she was assigned to Kenya, where she taught for ten years, including teaching religion in several schools. During this time there was an interest in researching the charism of religious congregations and she wrote a number of papers on the charism of MMM. In 1988, for health reasons, Marie wasn’t able to return to Kenya. Since then she has lived at the MMM motherhouse. She continued teaching, helping in adult literacy programmes.